If Pants Rowland had gotten his way, big-league baseball would have reached California more than a decade before the Dodgers and Giants crossed the continent. As president of the Pacific Coast League, Rowland campaigned for recognition as a third major league as early as 1945. 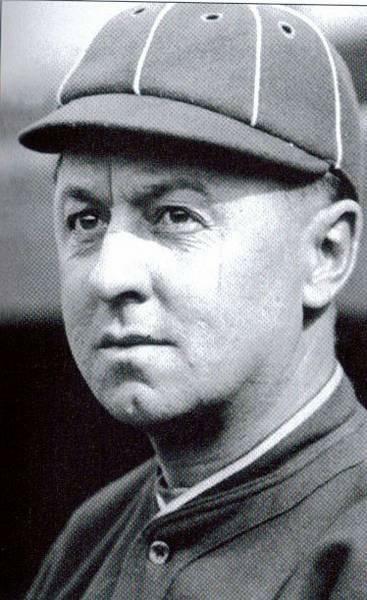 Personable and unfailingly optimistic, Rowland punched almost every ticket in more than half a century in the game, although he lacked the essential credential: His only playing experience was a few token appearances in the minors.1 He was a league president, minor-league owner and manager, major-league team executive, scout, umpire, and the unlikeliest manager of a World Series champion in history. Clarence Henry Rowland was born in Platteville, Wisconsin, on February 12, 1878, and died in Chicago at 91 on May 17, 1969.3 His father, Thomas Henry “Harry” Rowland, was a former railroad engineer who moved the family across the Mississippi River to Dubuque, Iowa, when Clarence was a toddler. Harry owned a grocery store and saloon. Clarence was only 5 when his mother, Caroline (Tremillen), died, leaving four children. The boy was a go-getter from an early age. At 15 he quit school and took off for Chicago during the city’s 1893 World’s Fair. Working as a hotel bellhop, he made a point of remembering guests’ names, earning bigger tips and forming a lifetime habit. Back home, he organized a sandlot baseball team and served as its catcher. At 21 he married Anna Utzig and soon turned his energy to promoting a semipro nine. Rowland was not yet 25 when he raised his sights to professional baseball. After rounding up local financial backers, he crashed the December 1902 meeting of the Three-I League in Chicago and talked his way into a franchise for his hometown. In search of ballplayers, he showed up uninvited at the home of Charles Comiskey early one Sunday morning. The White Sox owner, who had played minor-league ball in Dubuque and found a wife there, didn’t throw the young hustler out. He promised to send a couple of players for the 1903 season. That first foray into pro ball didn’t last long. With the Dubuque Shamrocks in the league cellar, manager Rowland was fired in July. He began running the bar at the Wales Hotel, but was soon back in the game as secretary and de facto business manager of the Dubuque club in 1907. The Three-I League was about to take away the franchise because of poor attendance. Rowland, blustering and threatening lawsuits, saved the team and persuaded the city to build a new ballpark. He took over as manager in 1908, but his second go-round lasted only one year. Despite the disappointments — or maybe because of the challenges — Rowland cast his lot with baseball. For two years he managed in the low minors at Aberdeen, Washington; Jacksonville, Illinois; and Winnipeg, Manitoba. Like a homing pigeon, he returned to Dubuque in 1911 and bought the struggling franchise with a partner for $2,500. He managed the club for three years, then moved on to Peoria, also in the Three-I League, in 1914. Among others, Rowland had recommended two future Hall of Famers to the Sox, pitcher Red Faber and catcher Ray Schalk. He had also urged Comiskey to acquire second baseman Larry Doyle and outfielder Bobby Veach, but they got away to star with other clubs. Defying the naysayers, Rowland was an immediate success, with a big assist from Comiskey’s checkbook. In addition to Collins, the White Sox bought outfielder Happy Felsch from the minors for $12,000 plus several players. In August 1915 Comiskey sent $31,500 and three players to Cleveland for Joe Jackson, possibly the hardest hitter in the game. He fixed that. For 1917 he added first baseman Chick Gandil to replace Jack Fournier, who resembled a statue wearing a mitt. That defensive upgrade was offset by rookie shortstop Swede Risberg, who couldn’t throw straight and couldn’t hit, either, but his presence allowed Rowland to move Buck Weaver to third full time. The club jelled quickly and took over first place for good on June 8. The Red Sox made it a tight race until Chicago pulled away in September to finish 9 games in front at 100-54. The White Sox scored the most runs in the league even though their two best hitters, Collins and Jackson, had mediocre years by their high standards. Pitchers Faber, Eddie Cicotte, and Reb Russell recorded ERAs under 2.00. World War I delivered the final blow. The federal government issued a “work or fight” order in July to meet manpower needs for the war and decreed that playing baseball was not an essential occupation. Collins and Faber joined the navy, while several teammates — including Jackson, Risberg, and Felsch — found soft jobs in defense plants, where their main duty was playing ball for the company teams. Rowland had only 16 men left on his roster at one point. “Everything went to smash on the Sox team,” the Tribune’s James Crusinberry wrote.14 The club sank to sixth place, costing Rowland his job. It may have been the luckiest break of his life. He walked away with his pants clean, sparing him the infamy of the 1919 Black Sox. Let go after five years, Rowland scouted, managed in the minors again, and owned the Reading Eastern League club. Chicago Cubs President William Veeck Sr. introduced him to the team’s young owner, Philip K. Wrigley, beginning an association that lasted for the rest of Rowland’s life. As Wrigley’s chief scout in the 1930s, he signed Bill Lee, Phil Cavarretta, and Dolph Camilli. In 1938 he negotiated a deal with the Cardinals for pitcher Dizzy Dean. Wrigley paid an unprecedented $185,000 plus three major-league players for the onetime ace, whose sore arm was no secret. Dean couldn’t pitch often, but he pitched well when able, winning seven crucial games as the Cubs squeaked in to the pennant. 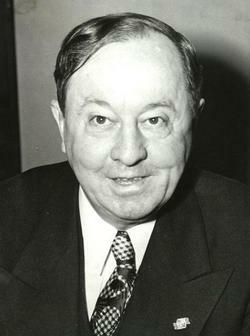 Wrigley sent Rowland west as president of the Pacific Coast League Los Angeles Angels in 1942. One of the first issues he faced was a demand for racial integration by William Patterson, a civil rights lawyer and member of the American Communist Party. When Wrigley and Rowland met with Patterson, Wrigley reportedly said he favored integration, but “I don’t think the time is now.” The owner asked Rowland if he knew of any black players who could help the Angels. Rowland mentioned one name: Jackie Robinson of UCLA. After the Angels ran away with the 1943 pennant, The Sporting News named Rowland the Minor League Executive of the Year. During the offseason, PCL owners elected him league president. The PCL was the West’s major league, 1,600 miles from the nearest American and National League clubs in St. Louis. Taking advantage of mild weather, it played a schedule of up to 202 games and paid higher salaries than the other top-level minors. But the Coast League population, approaching 15 million and growing fast, was concentrated in Los Angeles, the nation’s third-largest metropolitan area in the 1950 census, and the San Francisco Bay area, the seventh largest. The PCL was playing defense. Its two biggest markets, each home to two franchises, were obvious destinations for any major-league team looking for a more profitable home, or for an expansion team. That posed a mortal threat to the circuit’s survival . The PCL owners were divided. Los Angeles and San Francisco craved the big-league label, but some of the others — in San Diego, Sacramento, Portland, and Seattle — quailed at the expense of building bigger ballparks and competing with the existing majors for players. As an interim step, Rowland pressed to make the PCL exempt from the draft, which allowed the majors to rob the league of its best players for just $7,500. If it could hold on to its top talent, he believed, the circuit could be the equal of the majors within five years. The majors rejected that idea, too. Why give up a cheap source of players? The vote got the majors’ attention. At the 1951 winter meetings they created a new Open classification, a step above Triple A. The PCL was the only league to qualify. The majors made additional concessions: Players would be eligible for the draft after five years in the Open class rather than four; Open teams would be paid $15,000 for a drafted player; and a player could opt out of the draft, giving PCL clubs an opportunity to buy the loyalty of their stars with bigger salaries. The majors held out the possibility that an Open-class circuit could be granted big-league status if its population, attendance, and ballparks met certain criteria. Rowland declared that the new arrangement “ultimately will bring major league baseball to the Coast.”22 Other observers thought it was just a stall by the majors. It was six more years before the Dodgers and Giants invaded PCL territory, making Rowland’s worst nightmare come true. Philip Wrigley called on his old standby to revive the Cubs in 1954 after the franchise had endured eight straight losing seasons. The 76-year-old Rowland was named executive vice president, the number-two position under the owner. Although his duties were undefined, Wrigley said, “I would think he would be utilized to fix our weakest spot — the team.”24 Rowland said manager Stan Hack would have the final word on trades. That diminished the authority of Wid Matthews, the director of player personnel who had been functioning as general manager. But Matthews had Wrigley’s ear, and there were reports of infighting among the executives. The result was two more losing seasons with a franchise-record 94 losses in 1956. Wrigley cleaned house, firing Matthews, Hack, and all the coaches. He dispatched Rowland back to Los Angeles as president of the Angels. A year later, when the Dodgers displaced the Angels, Rowland was eased out to pasture. Rowland’s wife, Ann, had died in 1955. He lived in Chicago, remained an honorary vice president of the Cubs, and celebrated his 90th birthday in a retirement home with his son, Clarence Jr., daughter, Beulah, and his White Sox catcher Ray Schalk. “I guess you’ve done just about everything there is in baseball,” Schalk remarked. 1 Rowland said he pinch-ran a few times while managing in the minors, but never caught a game. Edward Prell, “The Amazing Mr. Rowland,” Chicago Tribune, December 25, 1954: A1. 3 For many years, baseball encyclopedias have given Rowland’s birth year as 1879. The 1878 date is confirmed by Wisconsin birth records and his Illinois death certificate, in his file at the National Baseball Hall of Fame library, Cooperstown, New York. The Chicago Tribune reported on his 90th birthday party in 1968. Confusion about his age was common. When he was named manager of the White Sox in December 1914, newspaper accounts said he was 33 or 35. He was nearly 37. 4 “Pen Points by the Staff,” Los Angeles Times, December 20, 1914: II-6. 5 Clarence Rowland, “How I Became the White Sox Leader,” Baseball Magazine, August 1917: 414. 6 Charles A. Comiskey, “Why I Bought Eddie Collins,” Baseball Magazine, March 1915: 16. 7 Sam Weller, “Rowland to Tribune: ‘Fans Will See Fight,’” Chicago Tribune, December 19, 1914: 8. 8 George S. Robbins, “Rowland Free of a Manager’s Woes,” The Sporting News, August 5, 1915: 1. 9 F.C. Lane, “Pants Rowland, the Bush League Manager Who Made Good,” Baseball Magazine, December 1917: 201. 10 Frank Graham, McGraw of the Giants (New York: G.P. Putnam’s Sons, 1994), 108. 11 Photo caption, The Sporting News, November 10, 1917: 1. 12 “Cartoons and Clippings,” Baseball Magazine, March 1918: 426. Moriarty’s doggerel originally appeared in the New York Evening Globe. 13 Joseph P. Murphy Jr., “The Busher from Dubuque,” Baseball Research Journal #24 (SABR, 1995). 14 “Kid Gleason Named Manager of the White Sox,” Chicago Tribune, January 1, 1919: 21. 15 Quoted in Al Stump, Cobb (Chapel Hill, North Carolina: Algonquin, 1994), 320. 16 Associated Press, “A Colorful Baseball Veteran, Pants Rowland Is Dead at 91,” May 17, 1969. 17 Amy Essington, The Integration of the Pacific Coast League (Lincoln: University of Nebraska Press, 2018), 36-37. 18 The Pacific Coast League, promotional film (1946), https://www.youtube.com/watch?v=dPv41VZ68yE, accessed May 28, 2016. 19 Study of Monopoly Power, Hearings Before the Subcommittee on Study of Monopoly Power of the House Committee on the Judiciary, 82nd Congress, First Session, Serial No. 1, Part 6: Organized Baseball (Washington: Government Printing Office, 1952), 99. 20 Associated Press, “Big Leagues Again Turn Back Rowland Crusade for P.C.L.,” Christian Science Monitor, July 11, 1950: 10. 22 Associated Press, “Majors Approve Open Classification,” Los Angeles Times, December 10, 1951: IV-4. 24 Associated Press, “Rowland Quits Coast League for Cubs,” Chicago Tribune, November 19, 1954: C1. 25 Prell, “Champagne, Tales Flow on Pants’ 90th,” Chicago Tribune, February 13, 1968: 3-2.